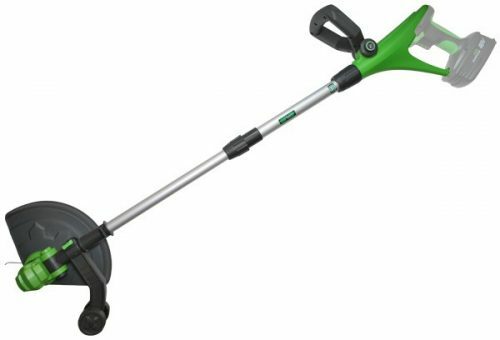 The POWERhandle has been developed to give CEL 18V tools the power to perform the toughest jobs. High current output allows this POWERhandle to run any compatible tool at its maximum. 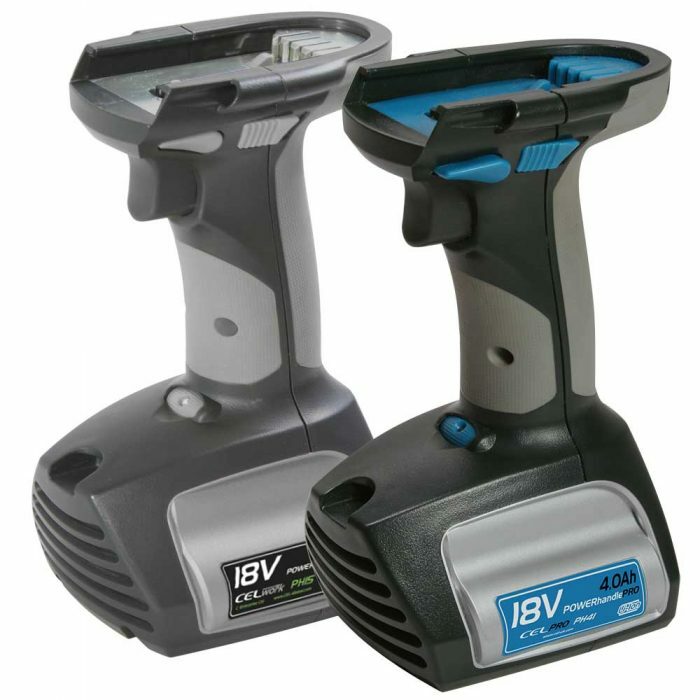 The innovative POWERhandle Lithium fits with all POWER8 products and supplies control and cordless functionality. 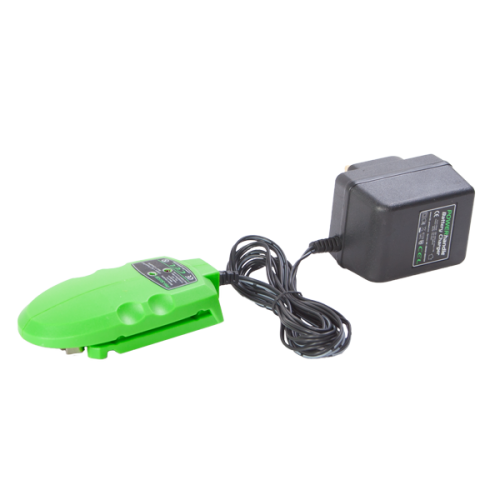 With its high quality 18volt Li-Ion Battery Pack and auto selecting control system it allows this unique product to pack smaller and lighter than its rivals. The memory effect suffered by some batteries is not a problem for this POWERhandle, charge or remove it from the charger at any time during the cycle. The charge will be held longer in storage than other batteries so when you need it, it’s always ready. PH41 has 4000mAh capacity. This is sometimes written as 4Ah. PH15 has 1500mAh capacity. This is sometimes written as 1.5Ah. 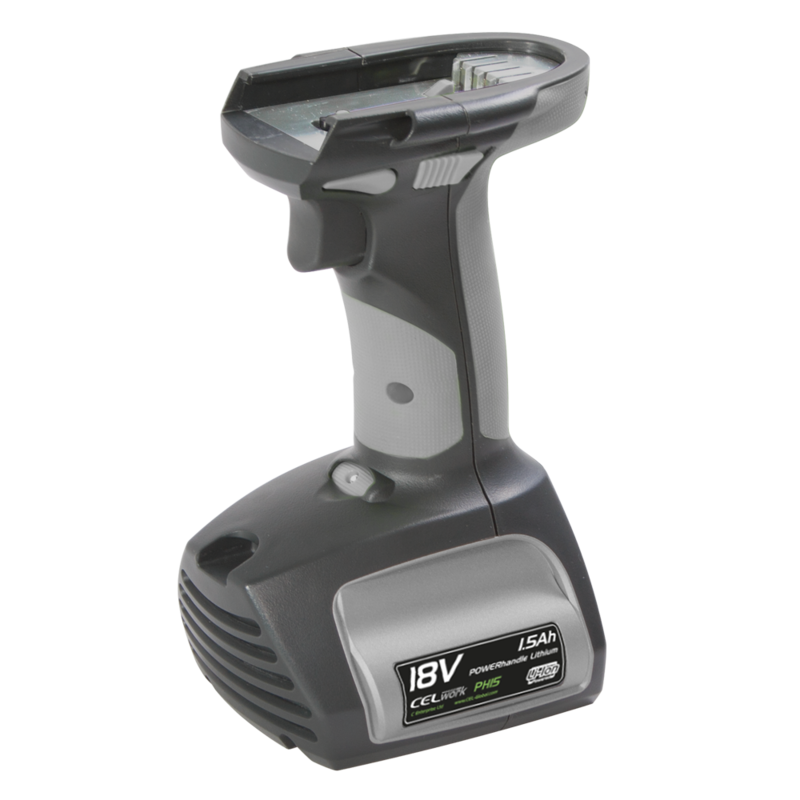 POWERhandles provide power for 18V CEL power tools. The price difference is linked to the capacity of the batteries inside. 4000mAh POWERhandles will be able to perform constant work for longer than the 1500mAh POWERhandles but the tool speed and torque is the same using either type. The difference is the time it takes to use all the stored energy. 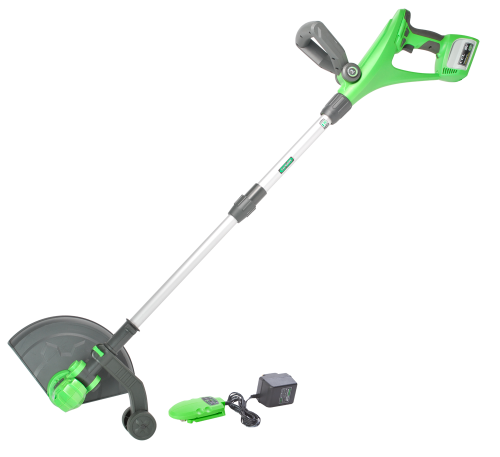 A lower capacity is great to save money for short jobs or low power consumption tools. Using a compatible CEL fast charger this battery can charge to 80% capacity in under 30 minutes. Please note – Lithium Ion POWERhandles requires a compatible charger. Current models that will charge this POWERhandle include. PHFC1, PHSG01, CD03 (New POWER8dock) included with WS3.